KKR seems to have earned themselves the undistinguished tag of the ‘Chokers’ rather early in this IPL with their dismal and irresponsible downfall in the hands of the mighty CSK outfit. Now what KKR has put to offer is their inability to start on a promising note which can be easily exploited by the other teams. But, the reality that the match ended on a close call would make them believe that they can still cause upsets with the tournament in its initial stages. Gambhir needs to sort out their problems in the batting order that stood as the prime reason why KKR finished sore losers on the opening day. Gambhir coming in at an unlikely position in the order, nevertheless disappointed, scoring just a couple of runs. It is very evident from the fact that KKR impatiently awaits the coming of their main performers in Brett Lee and Brad Haddin, who are on national commitments. In the previous game, they did well to restrict CSK but their famed batting array put up a choking performance and unsurprisingly, lost the game by just 2 runs. The bowlers, who didn’t look threatening, turned out to be saviours for KKR with disciplined deliveries. Balaji, after initial hiccups, came back strongly to hinder the flow of runs. Iqbal Abdulla looked impressive by picking up the dangerous Murali Vijay in his very first over and Kallis bounced out CSK skipper, Mahendra Singh Dhoni to ensure CSK do not capitalize on their rollicking start. Defeating CSK would have done them a world of good but they made people realize that it isn’t Mumbai Indians who played exceptionally well, but they themselves who played in a lacklustre fashion. If Kolkata plans to field the same team then surely Gautam Gambhir must promote himself up to No.3 or it is even better if he opens the innings. The form of Yusuf Pathan will be a cause of anguish as the big-hitting batsman seems to have lost his ball smacking, thwacking and blasting abilities. Shoddy fielding and drop catches will have to be rectified in today’s game as they don’t want to end on a losing note so early in the tourney. Kallis was noticeably in silky touch, playing off the front as well as the back-foot but he couldn’t steer his team to the finishing line. A more sensible batting is expected from the domestic stalwarts like Manoj Tiwary, Rajat Bhatia, Manvinder Bisla, and Laxmi Ratan Shukla who, literally, threw away their wickets and made life easy for Chennai. The Kolkata fans will be praying for their team’s win as they have struggled to come into terms with the IPL atmosphere, not to forget that they have fielded a match-winning team on every occasion they have played. 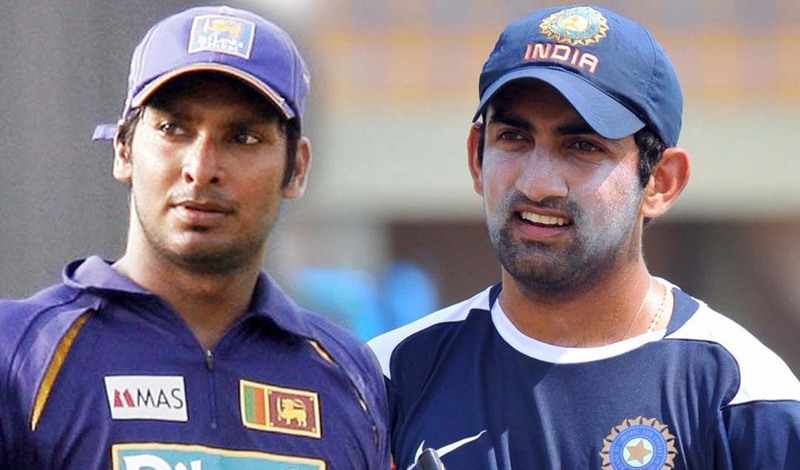 But with Gambhir and Kallis leading the way, KKR may end up winning the battle. An even gloomy performance was showcased by IPL 2009 Champions, Deccan Chargers, whose excitement and over-confidence took the better of them. Captained by a genius in Kumara Sangakkara , the team will have to pull up their socks if they want to secure a place in the next stage as only consistency has been evading them in their quest for IPL dominance. Their first game of IPL 2011 saw a lugubrious and hopeless execution of plans by opening with Pragyan Ojha, who went for eleven an over. Amit Mishra, though economical, finished wicket-less. Of the bowlers only the South African spearhead, Dale Steyn looked intimidating picking up 2 wickets and didn’t leak runs either. Daniel Christian needs to prove his high billing as he went for 25 runs in just the 3 overs he bowled . It was felt as if Ishant Sharma wasn’t even playing as the lanky bowler failed to make a mark with the ball. The batting faltered when it mattered the most with Sangakkara falling cheaply without troubling the scorers. A steady start was provided by Shikhar Dhawan and Jaggi, but soon after their dismissals, Deccan stuttered badly loosing the wickets of Sangakkara, Chipli, and Duminy in quick succession. Christian and Ravi Teja staged a remarkable recovery but it wasn’t enough as Rajasthan Royals were well served by their local star, Sidarth Trivedi who ended up picking crucial wickets. The middle order needs stabilization and with the coming of Cameron White, DC will sport a more balanced unit. So, which of the two has a better chance of over-powering the other?? In an ardent fan’s view, Chargers look a more potentially strong team but the individual brilliance of players like Gauti, Kallis and Eoin Morgan can swing the match in KKR’s favor. The contest that should be watched out for will be KKR’s batting versus Chargers bowling.